Eric LoPrestri is with us from New York City for the next several days. 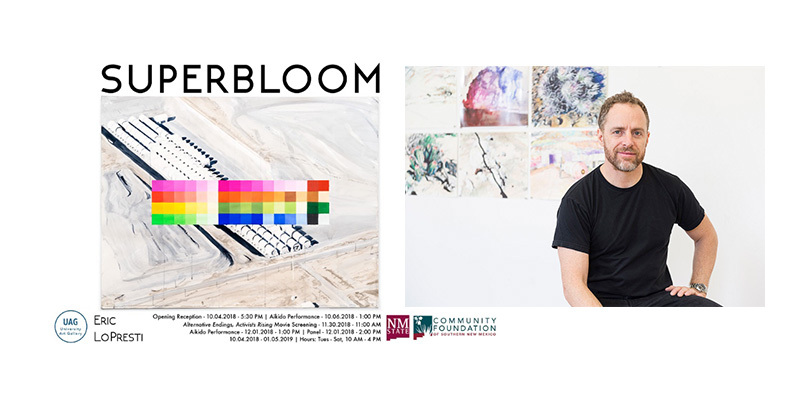 Tomorrow, his exhibit SUPERBLOOM will open up at 5:30 for the reception going until 7:30. Friday afternoon at 5:30, Eric is making himself available to visitors for personal walk throughs of his exhibit. A great opportunity to meet him in person, ask questions and learn more about his process, how his aikido practice feeds into his research and why New Mexico is an important place for his research. Saturday at 1pm in the UAG, the Las Cruces Aikido club will be performing with Eric. 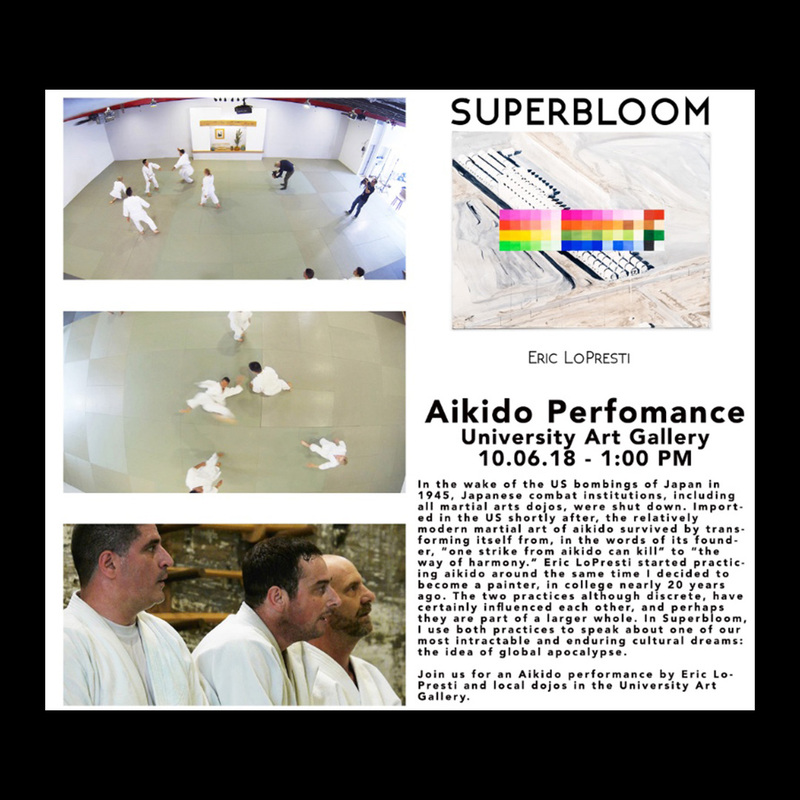 This entry was posted in Event, NMSU Department of Art, Uncategorized, University Art Gallery, Visiting Artist and tagged #aikido, #contemporaryart, #ericlopresti, #lascrucesnm, #nmsudeptofart, #superbloom, #UAG, NMSU. Bookmark the permalink. Follow any comments here with the RSS feed for this post. Both comments and trackbacks are currently closed. « 36th Annual Jewelry Sale Coming Soon!